Silverstack offers a feature to specifically backup to LTO tapes. Due to the nature of their hardware, LTO tapes need a different copy and verification process than other kinds of drives. The process used by Silverstack is to first copy all the files, then rewind the tape and perform the verification step afterwards. This way only one tape rewinding step is needed for each backup job. 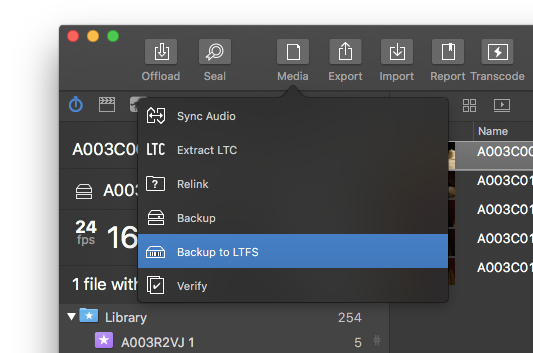 Additionally, Silverstack supports any kind of LTO drive that creates an LTFS file system on macOS. 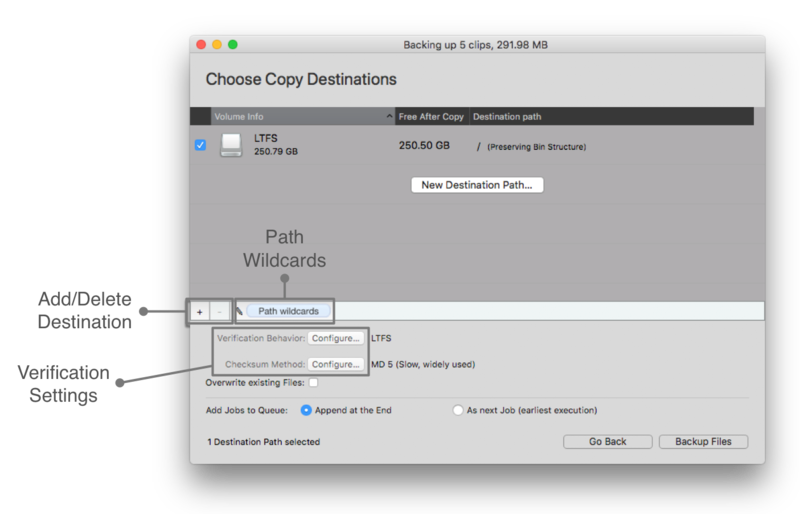 Generally if the LTO drive can be accessed in Finder, it can be used by Silverstack. 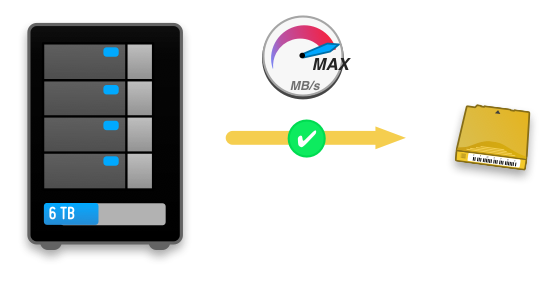 Have in mind that tape formatting has to be previously performed in the LTO drive utility before starting the backup process. No data capacity information is offered for LTO tapes. For this reason, it is recommended to manually check that the backup size does not exceed the tape capacity to prevent failed backup jobs. Only copy jobs to a single LTO tape are currently supported. 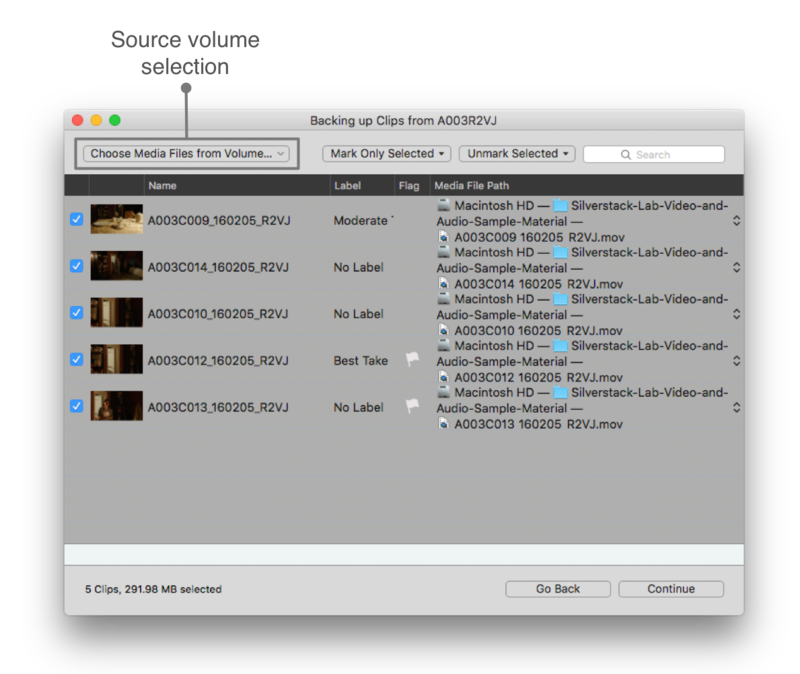 In order to keep track of the clips copied to a certain tape, it’s possible to generate a Volumes Report. For more information on how to generate these reports in multiple formats, please check the article Creating Reports.